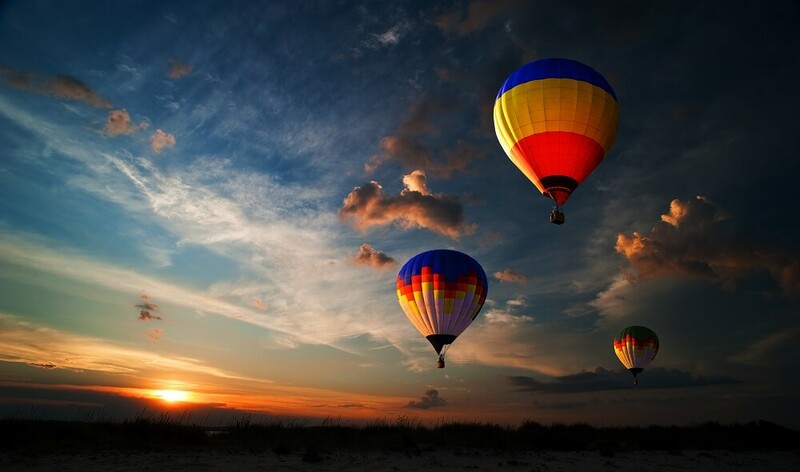 Hot air balloon flight – this is one of the finest and most romantic adventure of your life. If you need romance, hot air balloon is at your service. 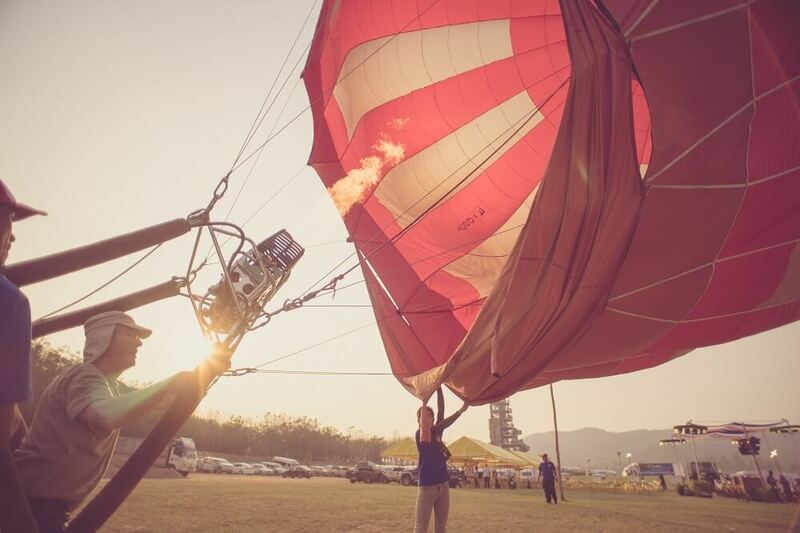 Hot air balloon rise above everyday worries and gives you an opportunity to take a fresh look into the world – cities around you, which you will discover all over again! 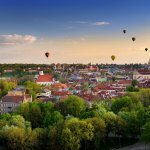 We offer you to see Vilnius or Trakai in a slightly different angle – no matter what flight you choose, unique experience is guaranteed! 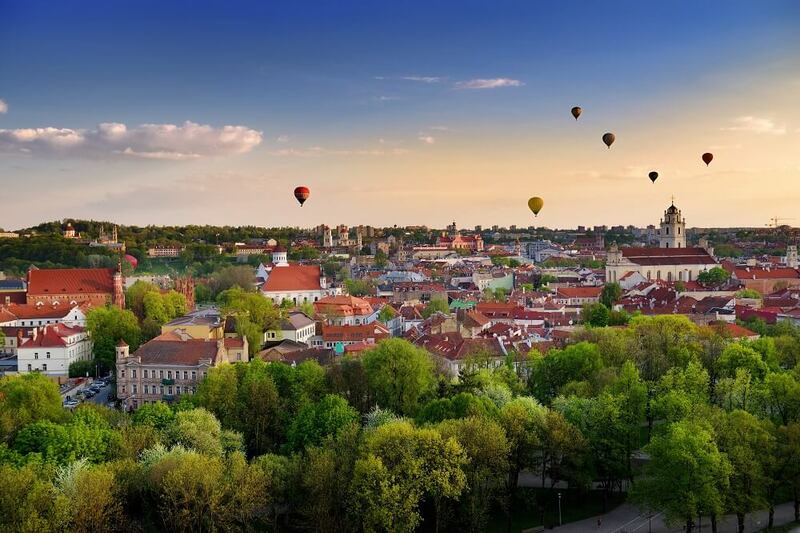 Romantic, peaceful flight over Vilnius or Trakai and its surroundings will give you unforgettable memories. Feast your eyes on Vilnius or Trakai surroundings, relax in calm ride, chat with your friends or loved ones, take photographs and simply have fun. Really nice and peaceful attraction that your friends will be jealous about. 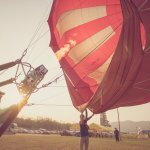 Winter hot air balloon flight. Duration: 1 hour flight (3-4 hours including preparatory procedures). Validity: The flying season runs from 15 April to 15 October. (except winter flight). 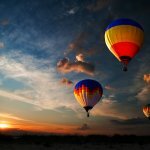 Time: In spring, summer and early autumn hot air balloon flights normally take place early in the morning (1 or 2 hours after the sunrise) and in the evening, 1 or 2 hours prior to the sunset, between 5 to 8 AM and 6 to 9 PM. Weather conditions: The hot air balloon flight is highly dependent on the weather: clouds, precipitation, visibility and the wind force. Usually, the weather conditions are forecasted in advance, but sometimes a preliminary forecast is inaccurate or incomplete. Therefore, even on arrival at the launch place the flight may be postponed for safety reasons. Clothing: The most appropriate clothing for the flight is cotton clothing covering the whole body. High-heel shoes are not allowed on board! Insurance: Every passenger on board is insured by the special aviation insurance.